Works perfectly with small limes, large lemons and other citrus fruits, it can squeeze them all with maximum result and you will have no seeds or pulp in your juice. Just cut the lemon into half---put it in the bowl---squeeze it manually. 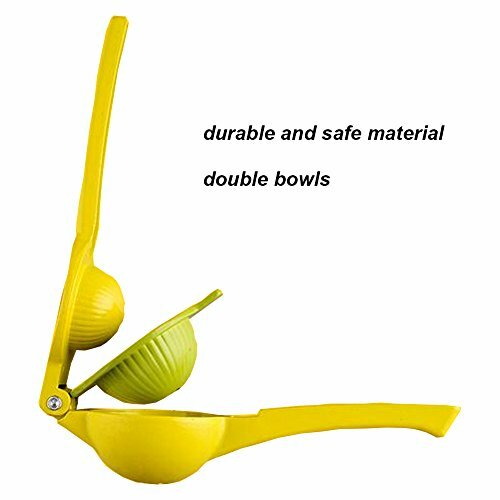 Unique double-bowled design, upper bowl for small lemons and below one for bigger lemons. Great to peel the rind of orange, lemon, grapefruit and any other citrus. You can use "hook" on one end to score the rind and then use the other end to peel it down. 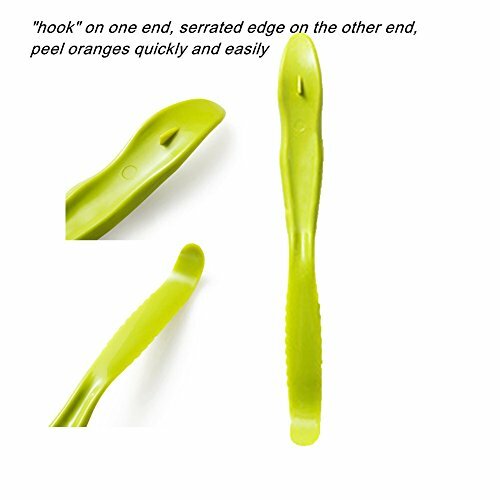 In addition, the serrated end can also be used to cut the soft fruit. Easy to use, clean and store, small size makes it ideal for lunch box fruit baskets. 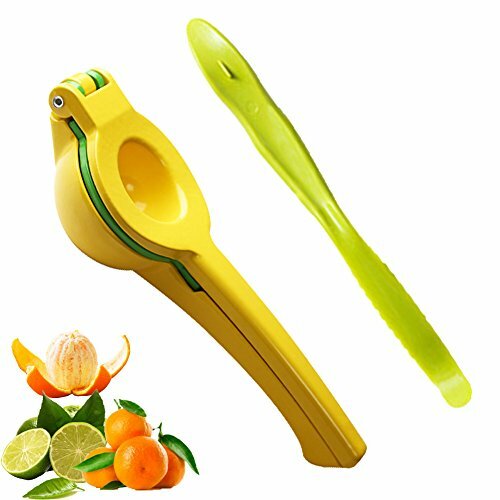 2 CITRUS GADGETS- Orange peeler and Lemon press juicer. 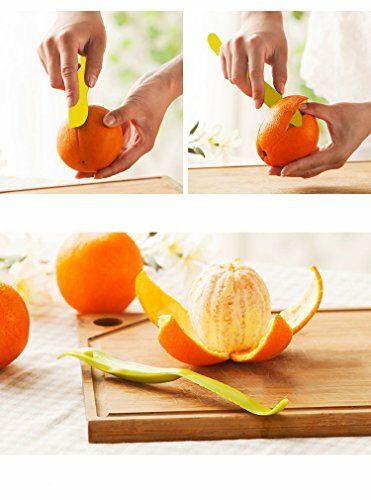 The multifunctional peeler is great for removing the orange's skin and cutting them into small pieces. 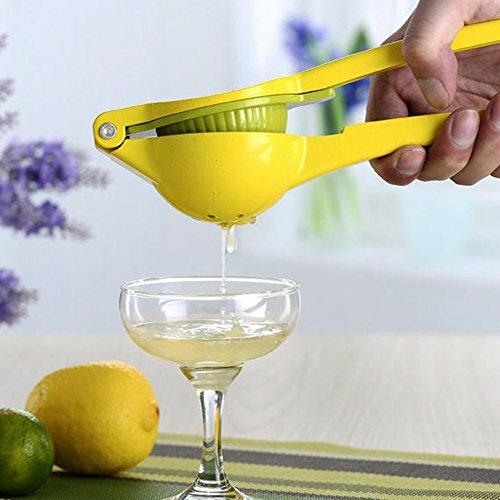 The lemon juicer is perfect for squeezing lemons, limes, oranges and other citrus fruits. CONVENIENT - No battery or electricity needed, very easy to use and clean. You will save much time and effort by using this tool. 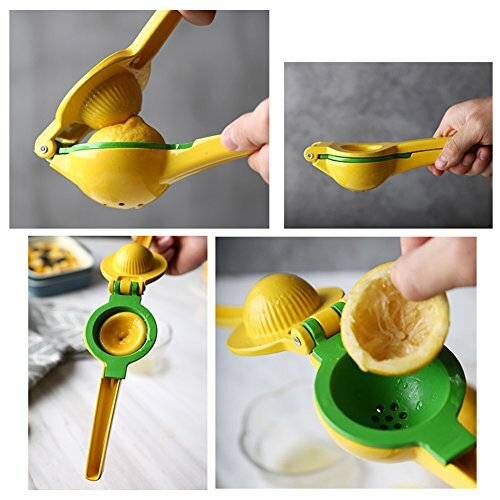 UNIQUE DESIGN - The manual lemon juicer has two bowls, upper one is for small lemons and below one is for bigger lemons. 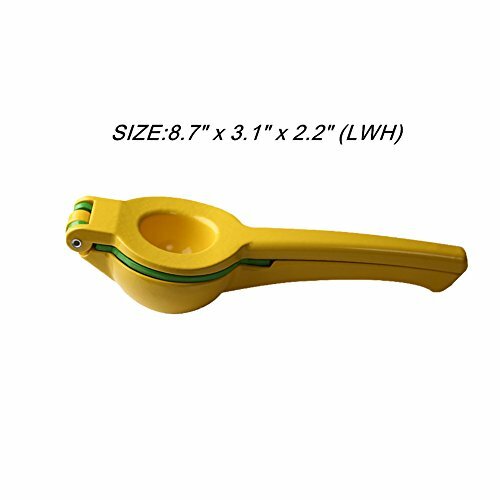 DURABLE AND SAFE MATERIALS - This lemon press/lime press juicer is made with sturdy aluminum and non-toxic certified lead-free coating, it is safe and durable, not easy to break or bend. 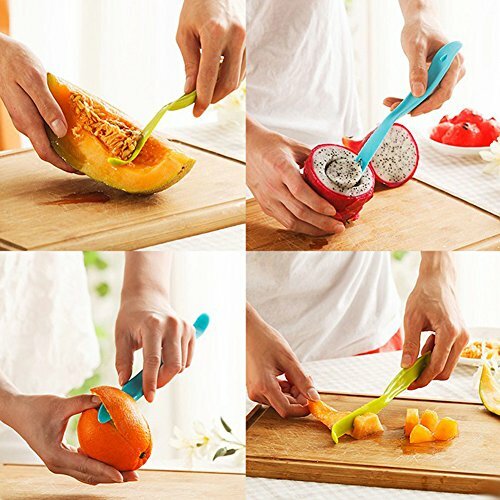 The peeler is made of harmless plastic. BUYER SUPPORT - If you have any issues with our product, please feel free to contact us and we will give you a solution without any problem. If you have any questions about this product by Fonitial, contact us by completing and submitting the form below. If you are looking for a specif part number, please include it with your message.